“I dedicated this dream to the angels, who come and visit me at night. To the world of clowns, to which I belong, to the Cathedral of Chartres, which after my mother’s womb, is the second place where I was nurtured. To the pictures that my parents stole to reality, and which I put into movement, to the circuses and to their artists. 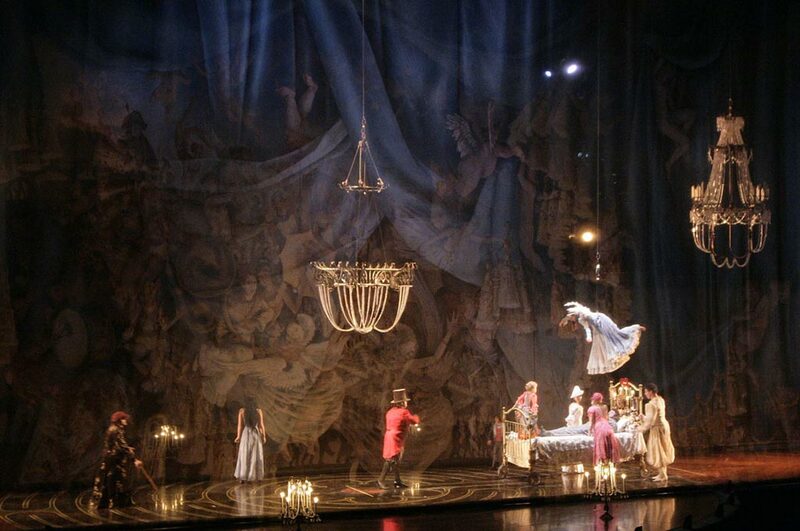 What I meant to bring forth under the big top is theatre and its peculiar perspective made of overlapping images. I thus asked the acrobats to think as actors would, and to be beautiful and honest, just as beautiful love stories are. I was lucky enough to be surrounded by brilliant creators, with whom I immersed in a common world and a bonding adventure, receiving the full support of a production crew who allowed us to carry on with our dream. I also kept close to the friends from my troupe, Teatro Sunil, with whom I have been seeking beauty and honesty on stage for more than twenty years.